The apps and products below are some of our favorites! We don't get paid to promote these; we just love them and think you might too. Do you know about a resource we don't have here? Let us know at MommaBearEP@gmail.com! This free weather app is one of our favorites! Not only does it give you tons of information on your daily weather, it has National Weather Service (NWS) alerts and stellar hurricane tracking features. Want more? Wunderground also developed "Storm" which gives you more detailed information on developing storms near you and around the county! Highly recommended for those who live in areas with severe weather. 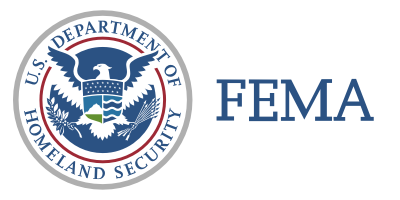 Yup, even the Federal Emergency Management Agency (FEMA) has an app! You can get weather alerts for up to five locations (Momma Bear's founder Leah Kahn loves this feature, since she has family all over the country! ), get safety reminders and emergency tips, and locate shelters if you need them. To be completely honest, sometimes its a bit overwhelming to get alerts for 5 locations, especially considering that the NWS can issue alerts for many different types of weather hazards (such as frost or freeze alerts). You may not want to get alerts for all these locations, but that's up to you! The American Red Cross has put out a number of helpful apps that you might want to download. They've got too many for us to profile here, but a few of our favorites are the Pet First Aid app (they've got a human First Aid app, too! ), and the 6 hazard apps - Tornado, Hurricane, Earthquake, Wildfire, Flood, and general "Emergency." If you're only concerned with getting alerts related to a specific hazard, these apps may be the best fit for you. You can also learn about each of the hazards and how to respond if one is near you.